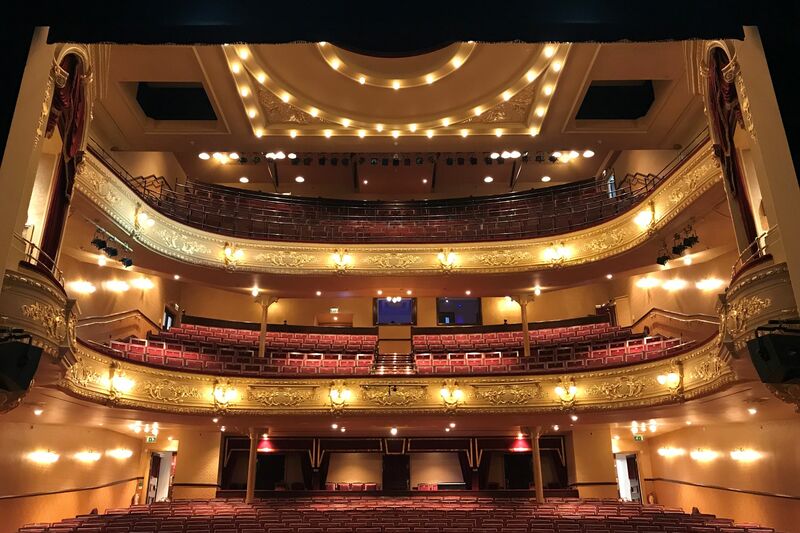 The newly refurbished Darlington Hippodrome and The Hullabaloo has been announced as a finalist in two categories, Preservation and Rejuvenation and Building Project of the Year in the Constructing Excellence in the North East Awards. The awards ceremony will take place on Friday 15th June 2018 and is a celebration of the North East construction industry. Over the last fourteen years the Awards have grown to become one of the highlights of the business year, with over 500 people regularly turning out to witness the best of construction in our region. The news of the further two award nominations for the project follows the announcement of the project being shortlisted in the Royal Town Planning Institute Awards last month. Space Architects are based in Newcastle and were appointed by Darlington Borough Council as the architect for the project which included the redevelopment and regeneration of the original Grade II listed building. “This was a fantastic project to be a part of. To be recognised for three prestigious awards is a testament to the teams that worked on this project. Theatres are more than bricks and mortar, they are about the people that use them and the towns they are situated. Our role, as architects was to create the perfect accommodation mix which the directors of the theatre needed, that audiences enjoy, and the community demanded. The theatre was designed by Owens and Ward and opened to the public in 1907, however over the years a series of piecemeal extensions were added, and this combined with decades of poor maintenance allowed the theatre fall into a state of disrepair and only a significant capital investment would bring this magnificent building back to life, with a new lease of life and a newly defined purpose as a cultural facility for the whole community. After consultation with a variety of stakeholders including the Local Authority, local schools, Friends of the Civic Theatre, Creative Darlington and the local community it became clear that the theatre needed to adapt to survive. To do this it needed to engage with the needs of the community and after numerous consultations it became clear that the venue needed to provide facilities such as gallery space, bars and cafes, heritage resources, interactive experiences, public rehearsal facilities, children’s education and play facilities, function suites and community meeting spaces. Space Architects was not only instrumental in the design of the facilities but also in the liaison with the key funding bodies by directing and coordinating the formal stage 2 submissions to the Heritage Lottery and the Art Council. In March 2016 it was announced that Darlington Civic Centre had received a confirmed £4.5m grant from the Heritage Lottery Fund to restore the building to its former glory. In addition to this a further £2.9m was awarded by Arts Council England for the creation of the children’s theatre in the neighbouring former fire station. Today, Darlington Hippodrome and the new Hullabaloo is an impressive facility. The theatre now boasts over 4,275sqm of remodelled floor space and it now includes a striking new glazed triple height entrance and foyer space that leads to promenades and display galleries and a new stunning vaulted function room fills the space of the old water tower. As well as fully restoring the original auditorium, foyer and grand staircase to their original Edwardian splendour, work was also carried out on the technical side including a new AV System, new stage lighting and extended back stage facilities so that larger productions can be accommodated. To help the theatre stay financially viable, each floor now has its own bar in addition to the newly designed café, multiple function rooms and education centre situated on the ground floor creating a multi-purpose facility for the wider community. The Hullabaloo has been a welcome addition. It includes an independent but linked 150-seat studio theatre, family café, creative play spaces plus rehearsal and office space. The venue now holds imaginative play installations to actively engage with local families through creative education.